The Learning Shop staff will help direct you with your learning needs and answer any questions you may have. As Manager, I am proud to share how The Learning Shop is a wonderful educational, community facility open five days a week, where you can access free information on a variety of educational pathways, community courses, employment options as well as career guidance from my careers trained team. Computers are also available for doing your own CV or for job searching. A proud resident of Porirua since 1965, I bring to The Learning Shop my vast management experience, having worked in the education and public sector with my strengths being community relationships and a passion for working with multicultural and disadvantaged groups to be able to make a difference. My employment background experience has been in a variety of roles including, Careers Advisor role, intermediate and secondary teaching, Probation Services working with those who have entered the Justice systems and also having strategic policy and planning experience. My team will support and give you one-on-one assistance and always with a smile. Kia Ora and we look forward to helping you in your pathway to the future as our motto says, He huarahi ki mua (Pathways to the future). I am originally from Christchurch and for the last 10 years have called Porirua home. 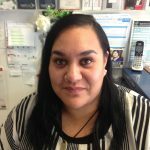 Studied at Whitirea Polytechnic in 2016 and in 2017 started working for The Learning Shop as Receptionist and Office Administrator. Porirua is such a vibrant multi-cultural special place and I am privileged to be able to provide our community with information about courses and to assist those who need help with computers. 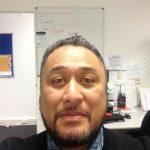 I am of Maori and Samoan descent and have lived and worked in the Porirua community for most of my life. 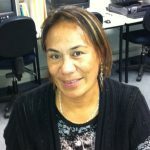 I became one of The Learning Shop staff in 2004 after graduating in Information & Communications Technology at Whitireia Community Polytechnic. I have studied extramural since then I have added Career Guidance and Youth Work to my resume. I am delighted to be in a position that would allow me to support and guide people from the community on their pathways to education and careers and helping people achieve their goals. I am of Samoan decent and schooled and lived in Porirua for most of my life. I have an extensive Social Work / Social Services background and currently enjoying supporting our local young people with their Education, Employment and Societal needs. I am culturally engaged and have built successful relationships in and around our local education and community based agents. 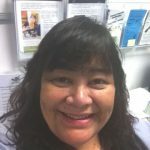 I am passionate about helping people of all walks of life and look forward to meeting you and your whanau for a chat about how we can help.